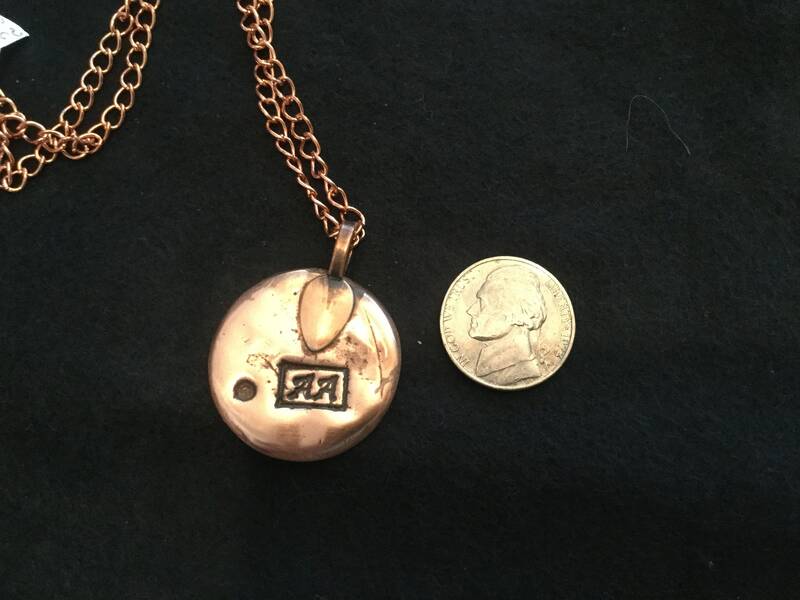 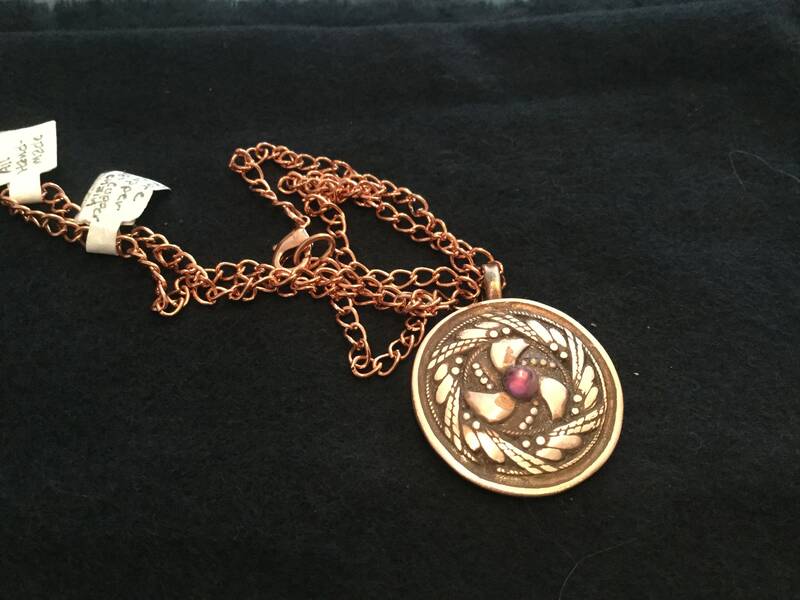 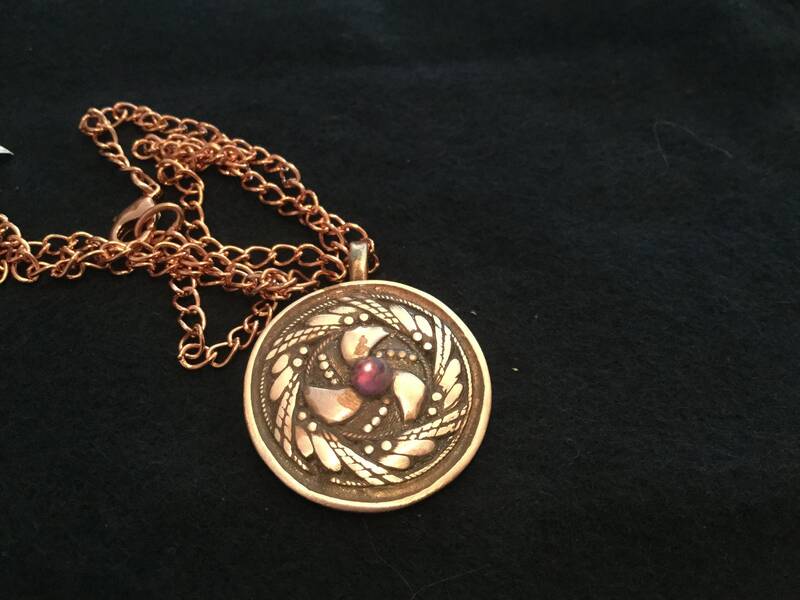 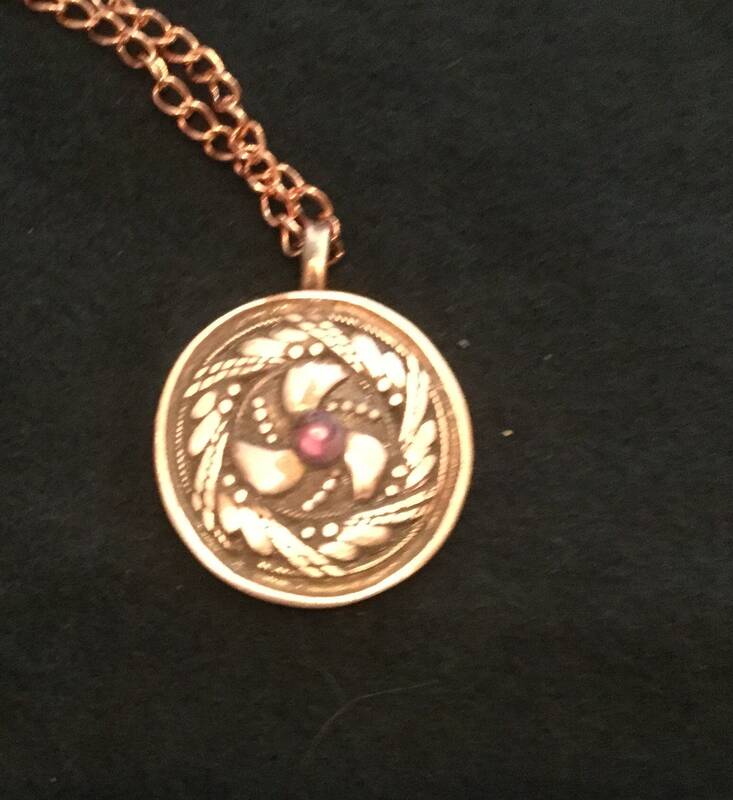 C200 Copper pendant, circular wheat pattern with amethyst stone, handmade, original, carved mold and worked copper. 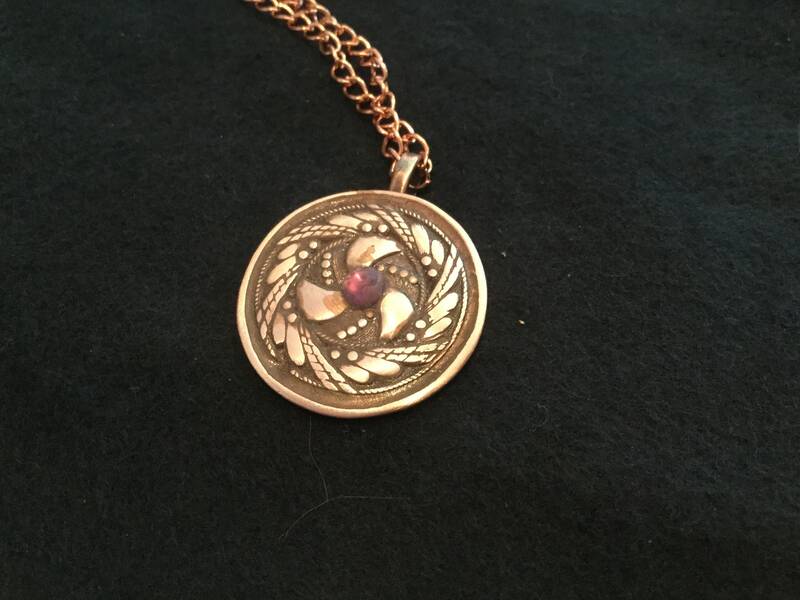 Copper is an ancient alchemist metal and has a beautiful luster. 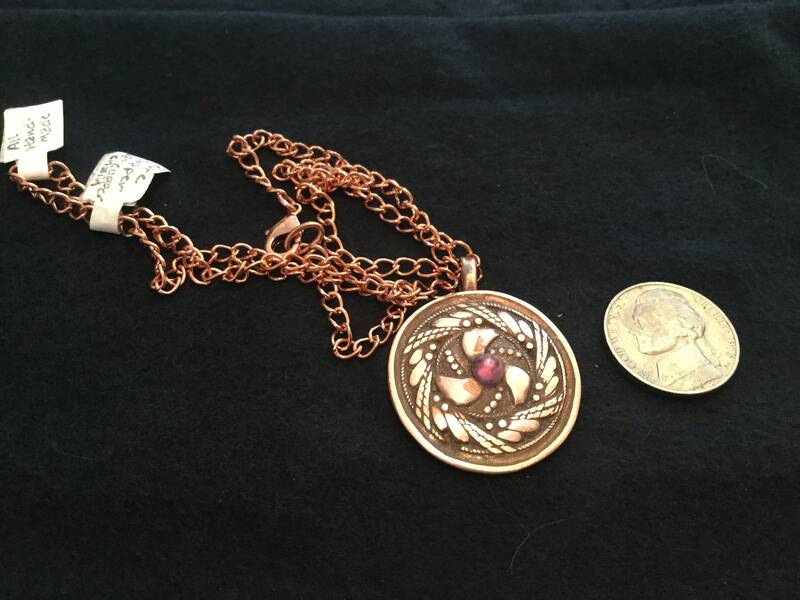 Size, check description and images with a quarter to show size.